This trendy, low-key spot has drinks, pool, bar bites and drink specials. A really great place to hang out with the locals. The bartenders are friendly and the kitchen it open late. BEST BAR IN NEW ORLEANS ! ! ! ! ! 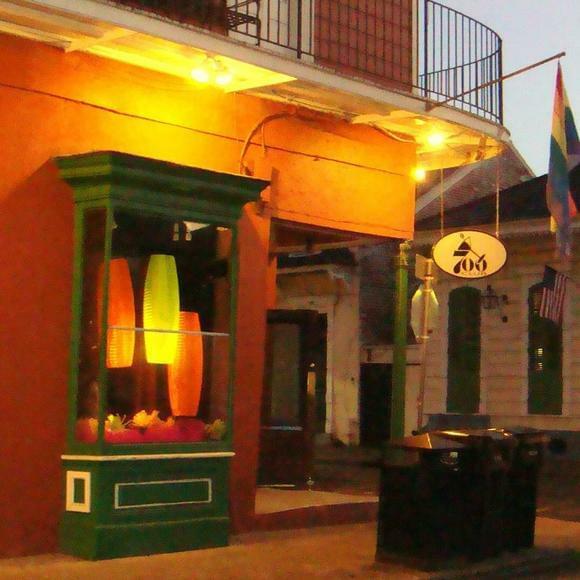 There are a lot of bars in New Orleans and they are all basically alike, however the 700 Club is really an exception. The entire staff is so friendly and hospitable. The owner, Matt really knows how to run a business. Actually he is one of the best owners of any in the country He KNOWS how to keep customers coming back again and again. The customers are also very friendly and people there ACTUALLY TALK to each other !!! It is two blocks from Bourbon St. so the neighborhood is rather quiet which is a good thing. It is a VERY clean bar and the drinks are very reasonably priced. We were in NOLA for a few days and can't wait to return to this bar. We won't even waste our time going to the other bars. THANKS to the owner for having such a great bar ! I loved the music, the bartenders were friendly and the dancers were hot. Will be back again. great little bar that is all about talking and socializing. reminds us of the days back when people used to actually talk to each other and really meet in person rather than all that online bs! the bartenders are super friendly, the music is not too much of any one thing - very varied and not too loud. drink prices were just downright cheap and the food was great too! This is not the hole in the wall that I expected.. ;-) Great staff, fun place. Definitely very different (in a good way) from most French Quarter bars. Stop in and see what you think. I enjoyed it! I call you on making the best. Good drinks, not too expensive, and surprisingly good bar food make this a really great addition to the Quarter. Kind of off the beaten path (2 blocks off Bourbon) but well worth the trip. This club has an upscale feeling - lounge sofas, cocktails served in glass, bartenders dressed up. Perfect place to chill with friends, go on a date, or relax after work (it's popular among service industry). They recently added tapas-style dishes during late hours - nice alternative to junk food late at night.